Many of you have seen my #3Questions video series. If you haven’t, it’s an interview series I did where I would ask 3 questions of a guest and they would ask 3 questions of me. The guests I had were INCREDIBLE, and I want to thank them again for their time and willingness to share. For the fun of it, decided to change up the format a little to challenge myself and to get even more people involved. So… #3Questions LIVE was born. I’ll explain more in the episode below, but long story short, YOU are now the guest. Was Renegade really the best coaster on CNC 17? What advice do I have for someone who wants to write and speak? How do I get a job with Universal or Disney? How do you deal with “difficult” employees? What is your best advice for new leaders? What is your favorite coaster, attraction, exhibit, or haunt? You can respond in the comments here, on YouTube, or email me: matt@performanceoptimist.com. You can also submit YOUR questions for me to address in another episode. Thanks for watching, listening, and participating!!! NEW BOOK – “ALL CLEAR! A Practical Guide For First Time Leaders and The People Who Support Them”. Available for PRE-ORDER through Nov. 10! That’s what a friend said to me recently. What’s interesting is that I have heard that a number of times over the last few months from people I don’t normally work with. This last time was just a few weeks ago. Some friends from high school and I got together at a buddies lake cabin for a guys weekend. One friend and I sat down to have lunch one day and started talking about business. He’s a business owner and he started sharing some things that had been going well and some things that had not been going so well. If you are in a similar spot as my friend… maybe you’re stuck in a rut, or are looking to take things to the next level, but don’t know where to start, give me a call. This experience really solidified for me that if your personality, purpose and passions are fully aligned with what you do as a profession, work is no longer “work”, but an extension of your natural behaviors. That second point really hit home because this conversation was not planned. We didn’t schedule a coaching or counseling session, we were just talking. But when my friend shared that something was bothering him, my mind immediately jumped to “helping” mode. And my PURPOSE, I believe, is to help people. It’s even in my tag line- Helping Leaders Lead. I learned early on that my greatest joy came when I could help other people be successful. 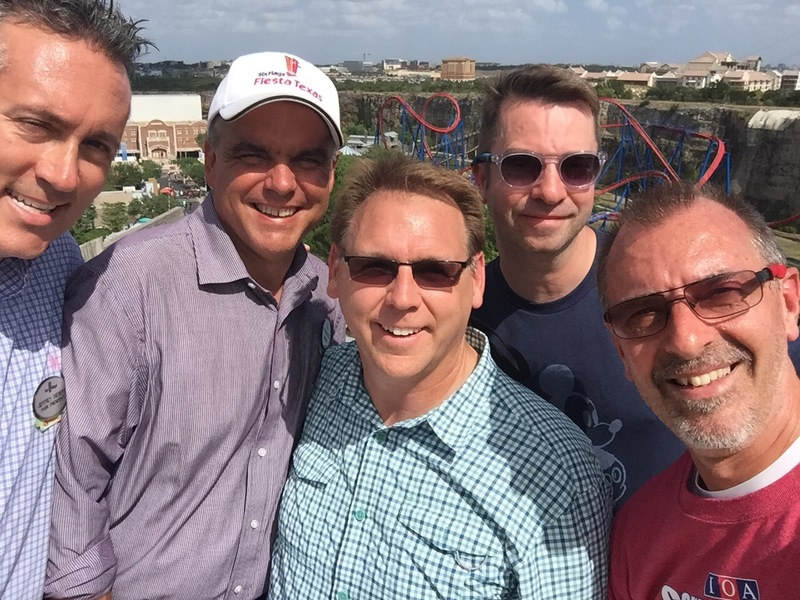 My PASSION is people (and the amusement park industry, of course!). I enjoy meeting people, hearing about their journeys and learning from their experiences. I could also talk for days about roller coasters, but that’s another story for another time. And my PERSONALITY lends itself to serving my purpose and passion. I like having (and instigating) fun, but also enjoy listening to others, analyzing situations, and trying to connect the dots. If your work is enjoyable and feels like a natural extention of what you do, there is a good chance your 3 P’s are in alignment. Passion – what do you care about? What do you go out of your way to learn about, or be involved with? What are you constantly looking for or are aware of – no matter where you are? At a flea market recently, I found a tiny little toy bus that said Six Flags on it. It caught my eye right away and I had to have it. The people I was with said they never even noticed it. Probably because that’s not what they were looking for. Purpose – this is a big picture question… do you help people, build things (I.e. houses, roller coasters or kitchen cabinets), do you solve problems, do you communicate well or do you enjoy inspiring others? This is not an exhaustive list of “purposes”, but will hopefully give you an idea of what to ask yourself. Personality– when are you at your most comfortable or productive? Are you on a stage, in an office or on a job site? Are you working with others or by yourself? Is the work largely cerebral or physically active? You can answer affirmative to more than one, and that’s okay. That means you can exist and thrive in many environments. A bunch of Supervisors from Silverwood Theme Park went through the Myth of Employee Burnout Training Program – here’s what they had to say about it.